4 Regional Offices: Mumbai, New Delhi, Chennai & Kolkota. 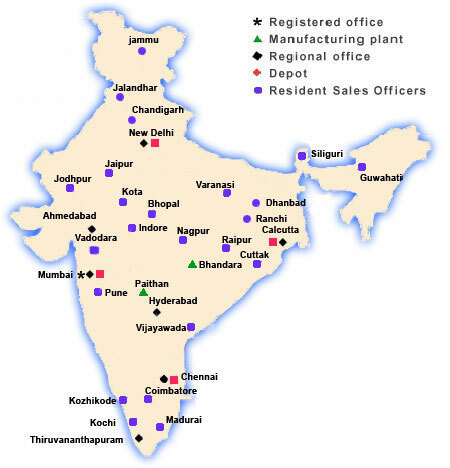 Resident Sales Officers located throughout India. 165 exclusive distributors throughout India, servicing more than 10,000 outlets.